If any fight from this past weekend is to dominate discussion in the coming days it is the HBO main event from the Turning Stone Resort and Casino, in Verona, New York, where junior welterweight Lucas Matthysse barely survived, and narrowly outpointed, Ruslan Provodnikov. 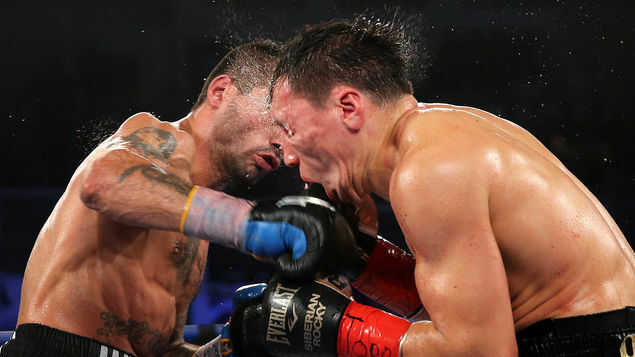 And the attention Matthysse-Provodnikov receives as its dust settles is well-deserved. While perhaps not the apotheosis of violence the unbridled enthusiasm that preceded it anticipated, Matthysse and Provodnikov arrested a collective attention for twelve brutal rounds, the type of rounds that obscure futures. Read Ungodly Punishment: On Matthysse-Provodnikov, Terence Crawford and Styles on The Cruelest Sport.